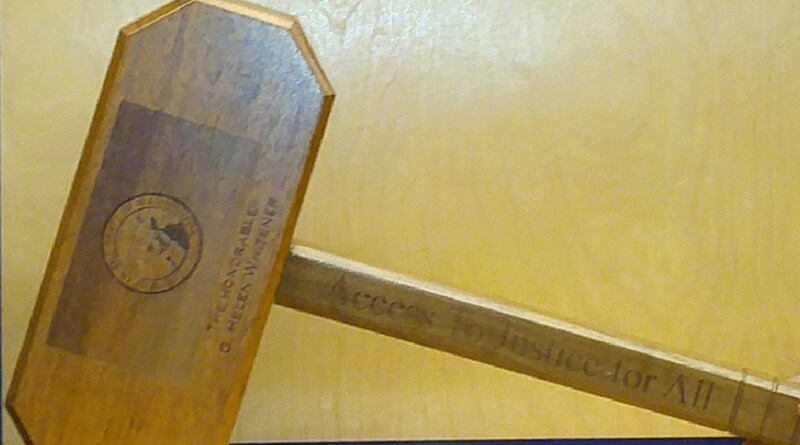 Judge Whitener received "Access to Justice Thor." 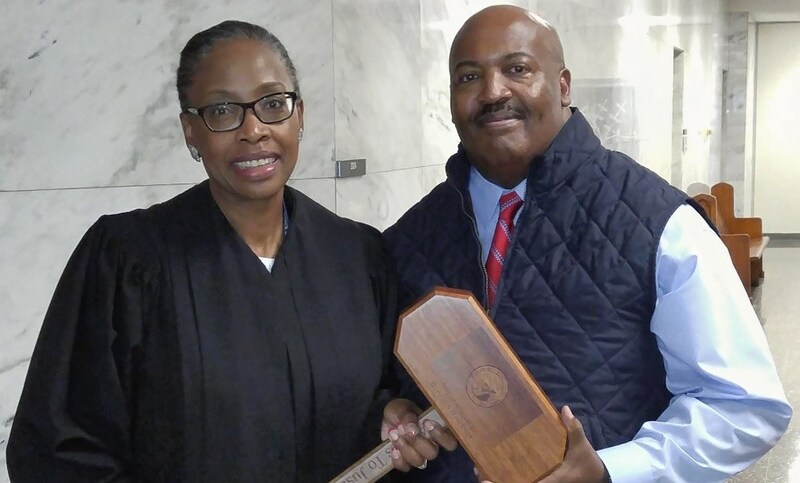 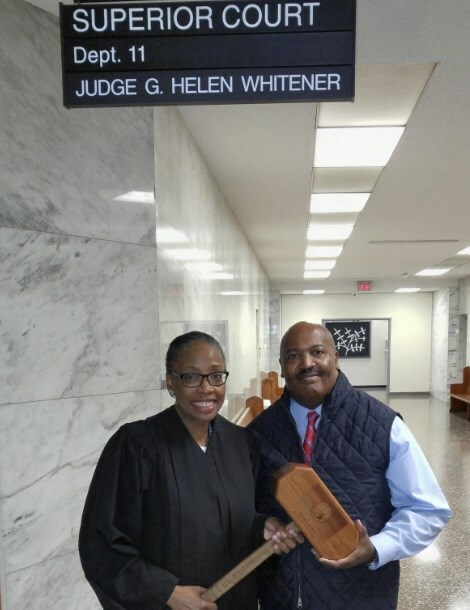 Home > Photo Galleries > Judge Whitener received "Access to Justice Thor." 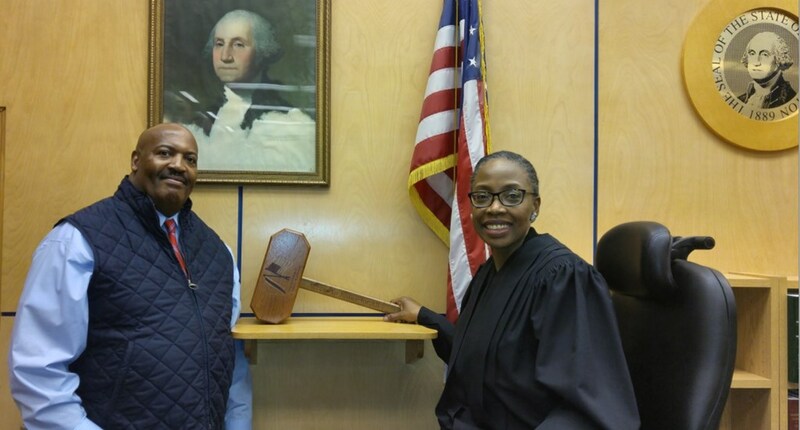 Today, Deputy Director, Ennis L. Hobbs, 508th Military Police Detention Battalion, Joint Base Lewis-McChord presented me with a Thor. 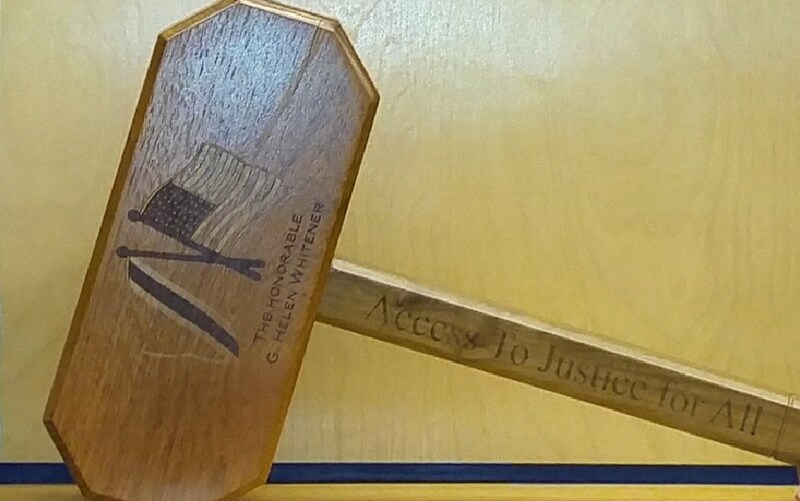 The Thor was created by the military inmates and it was inscribed with the American Flag and the Flag of Trinidad and Tobago on one side and the Washington State Flag on the other with the inscription “Access to Justice for All” on the handle.